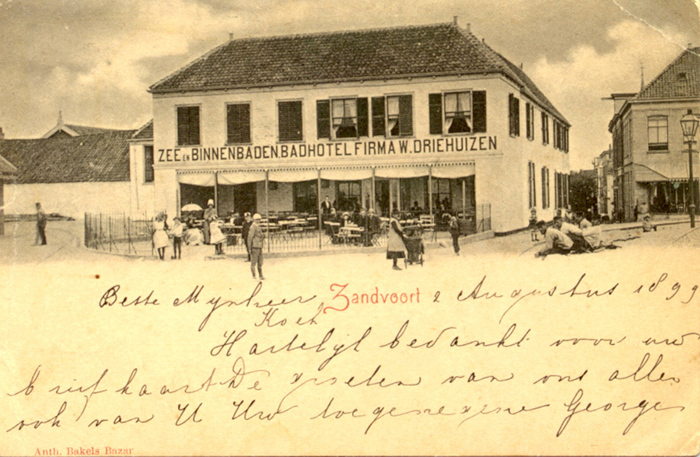 Another view of the Hotel Driehuizen. 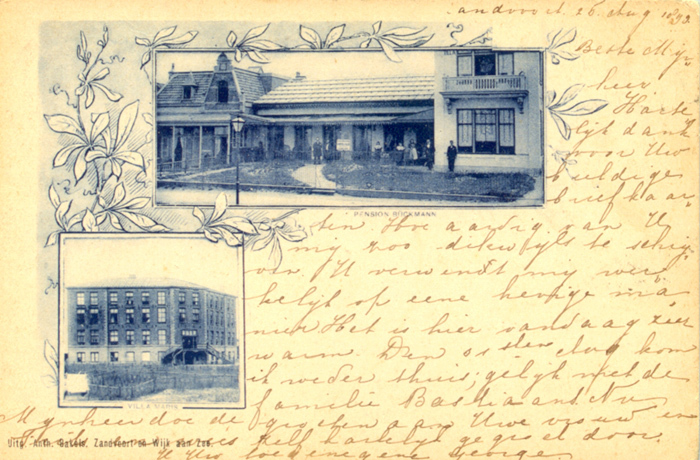 This card sent to Amsterdam from someone staying at Spoorstraat 14a in Zandvoort on 2nd June 1907. 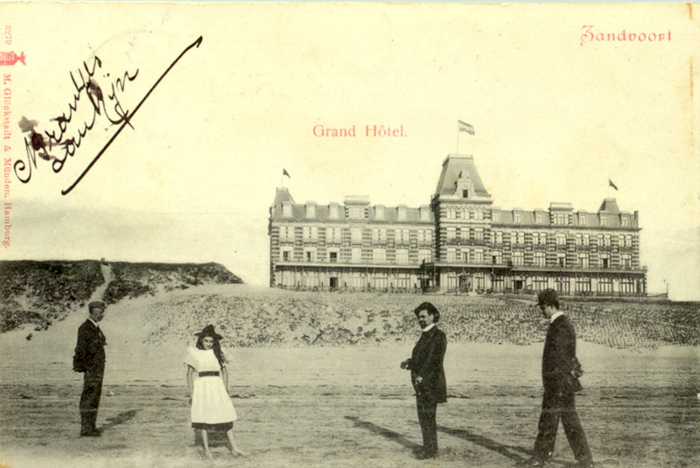 This hotel was said to have been used as a brothel during the german occupation of Zandvoort. 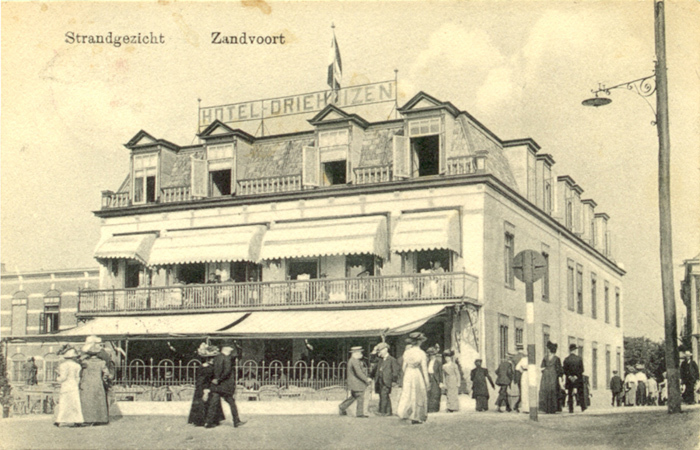 Similar, slightly closer view of Hotel Driehuizen, Zandvoort possibly circa 1905. 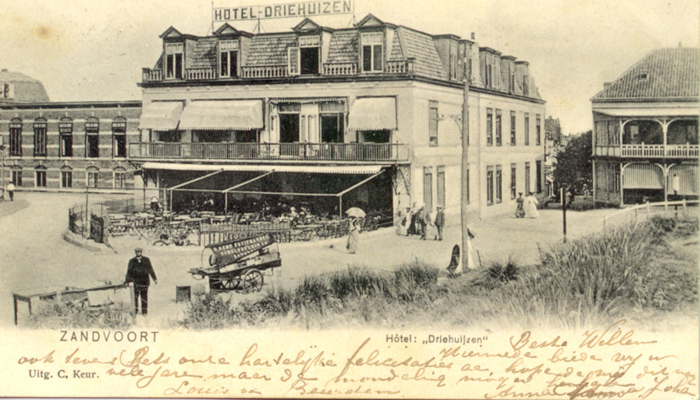 The Hotel Driehuizen was demolished by the Germans in 1943. 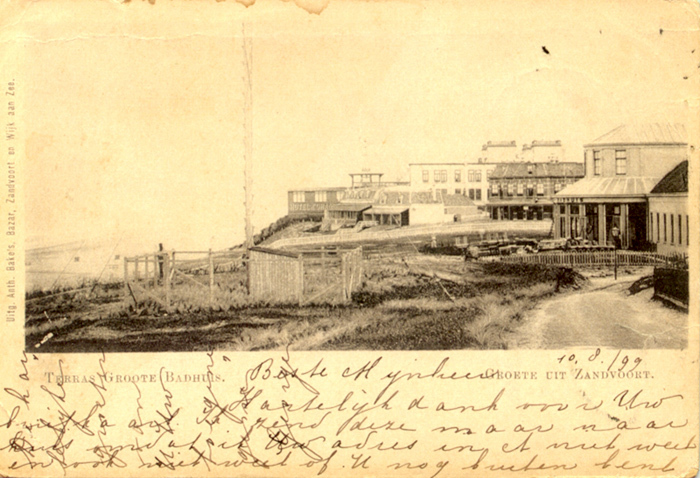 The Hotel Groot Badhuis was built high on the dunes between 1826 and 1828. This card is dated 10th Aug 1899. 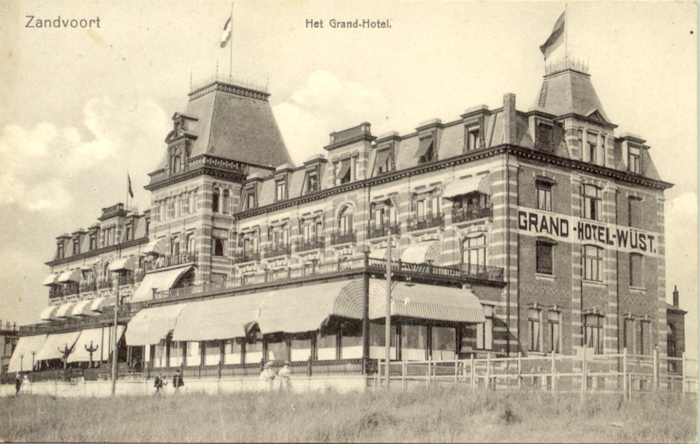 Hotel Groot Badhuis circa 1909. This card was sent by someone named Anni staying at 27 Halte Straat in Zandvoort. 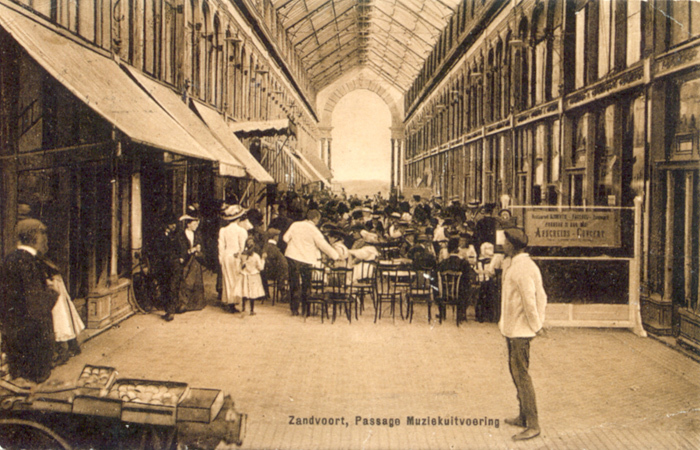 Internal view of the Zandvoort Passage which was opened in 1881 showing the many shops and cafes. 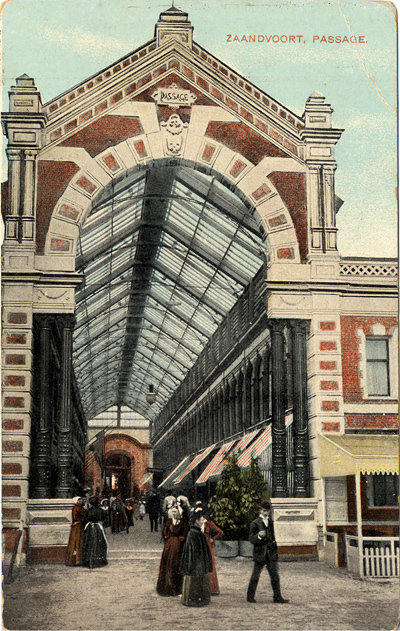 The Passage burned down in 1925. 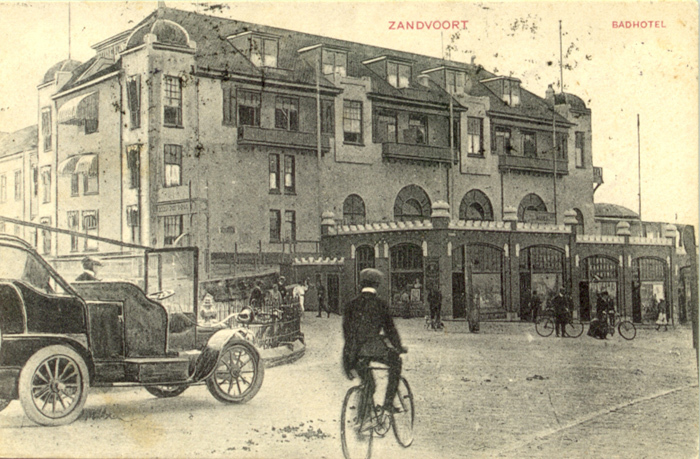 A busy scene in the Zandvoort Passage circa 1910. Many musical concerts were held here. 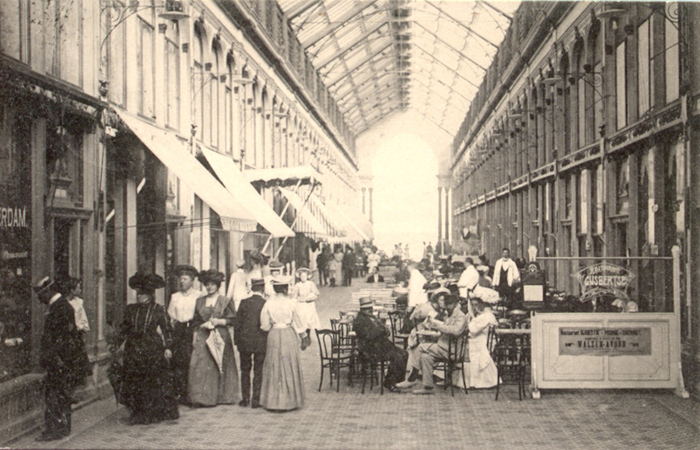 The Passage – photo circa 1900. 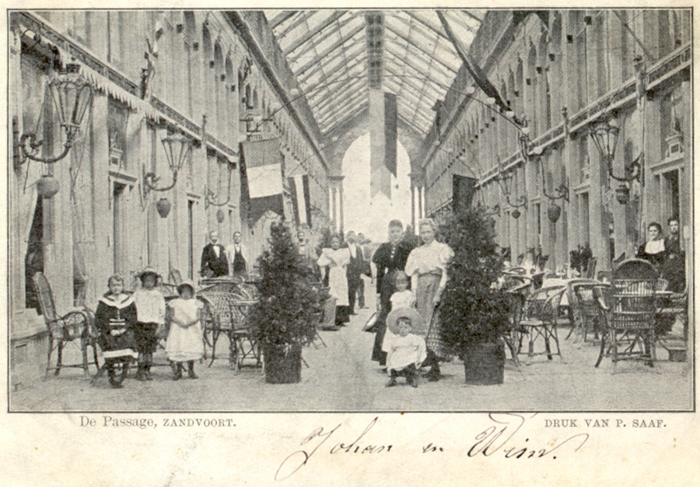 This card is postmarked 22nd July 1901 on the reverse side. 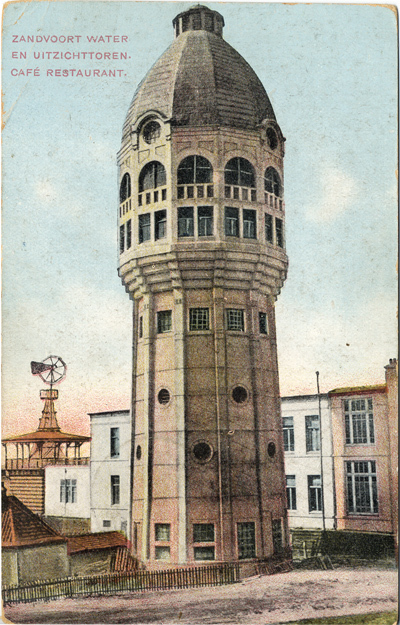 Zandvoort’s original Water Tower which on 17 September 1943 was blown up by means of 12 explosive charges by the occupying german army. 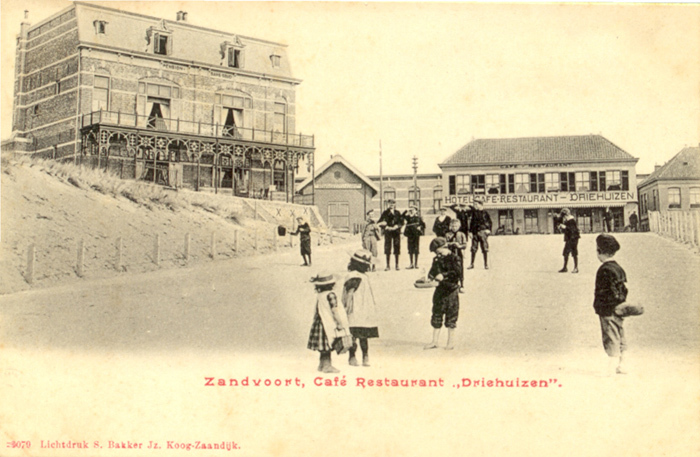 Postcard of Kurhaus & Boulevard and also the Villa Marina. 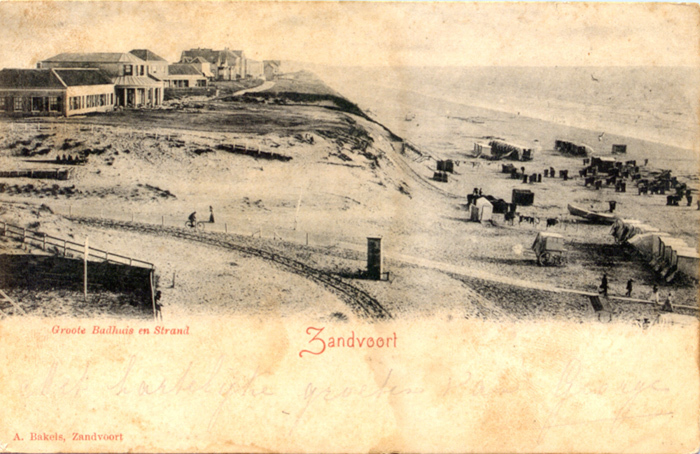 Sent from Zandvoort on 31st July 1900. 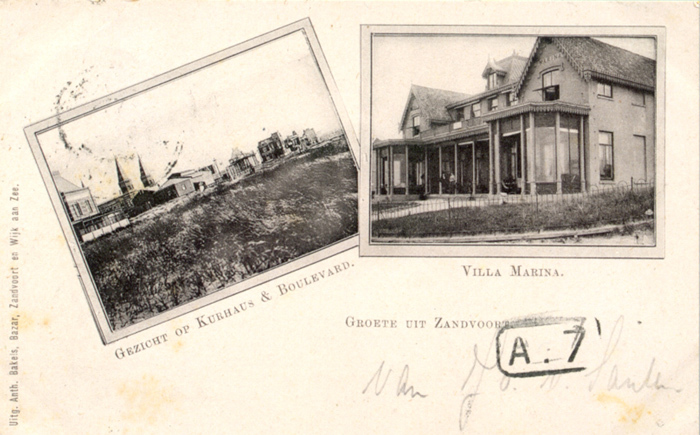 Pension Buckman and Villa Maris on a postcard dated 26th Aug 1899.